Welcome to Interstate Irrigation and Lighting. 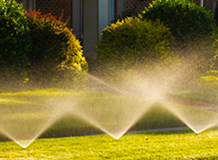 We serve the Northern Virginia and DC Metro area and our trained professionals have been servicing lawn sprinkler and lighting systems for over 20 years. 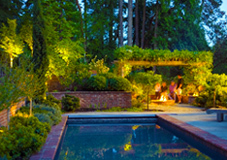 Our professionally designed and installed lawn sprinkler and lighting systems create a unique result, each system accentuating your home's beauty and safely highlighting your garden beds, trees and landscape. With the latest installation equipment, we install your system with minimum disruption to your lawn and home; we are able to install systems under driveways and sidewalks without damage to your hardscape. Because each system is unique, we offer ongoing maintenance plans so that we can adjust your lawn sprinkler and lighting system each year to ensure it remains in top-notch working order. 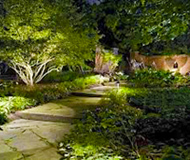 Irrigation and Lighting in Washington D.C.
for your property that adds safety and security. 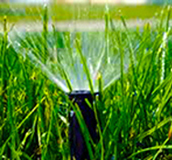 Lawn Sprinkler Irrigation Systems, Northern Virginia sprinkler system contractor - Local landscape, lighting, and sprinkler system contractor. Approved contractor for Rainbird, Hunter, Toro and Weathermatic. 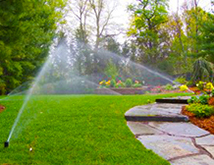 Free estimates - Lawn sprinkler, Landscape sprinkler, Lawn irrigation system, Automatic underground watering systems, irrigation systems - best, good, local - We service all Northern Virginia including, Falls Church, Alexandria, Sterling, Centreville, Springfield, Lorton, Oakton, Fairfax, Chantilly, Clifton, Herndon, Burke, and Arlington Virginia Va 22030.